Once your customer has registered with your site, they will be able to see a summary on their main customer dashboard after logging into their account. 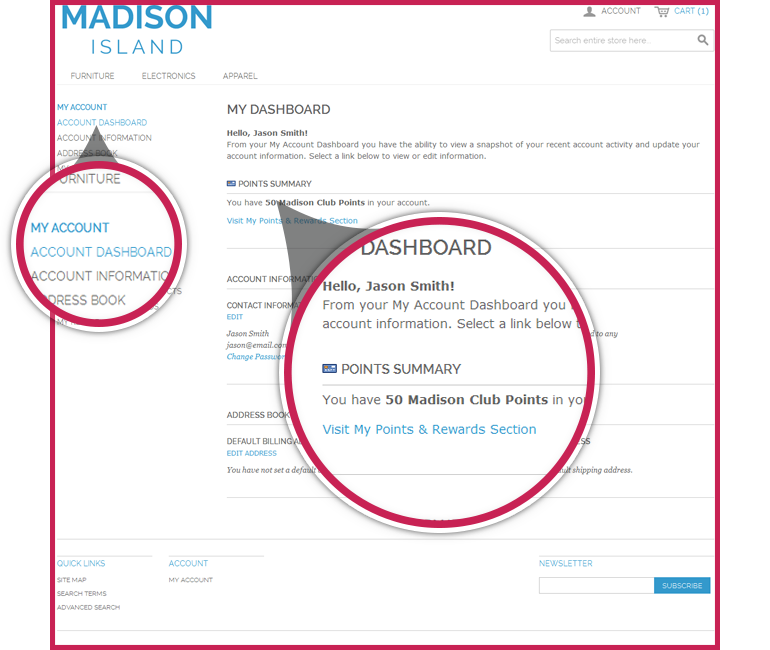 This loyalty content that is integrated into the account summary is designed to inform the customer of loyalty activity and points they have earned with a quick link to visit their Points & Rewards section. You can also add message on this block at Admin -> Rewards -> Configuration -> Display Settings -> Customer Account Summary Message. From their dashboard the user can navigate to the two MageRewards related sections under their account which are - ‘My Points and Rewards’ and ‘My Referrals’.